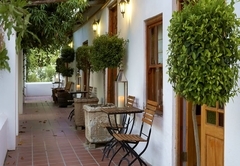 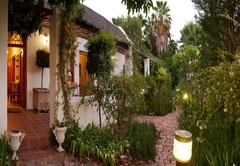 The Longhouse Guesthouse is one of the highly recommended Clanwilliam guest houses and provides accommodation in 5 guest rooms for tourists visiting the Cederberg region. 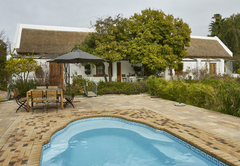 The charming Longhouse Guesthouse is the ideal place from where to explore the village of Clanwilliam, the rugged beauty of the Cederberg or the Atlantic Coast at Lamberts Bay, 60km to the west. 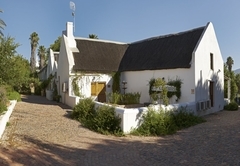 Dating back to 1810, this historic house is one of the two oldest surviving buildings in Clanwilliam and offers visitors an old-world elegance and charm. 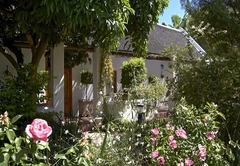 Set in a beautiful, well-maintained garden overlooked by mountains, the house is within walking distance to shops and restaurants, the museum and tourist office. 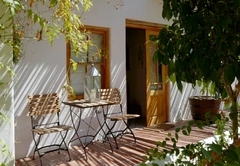 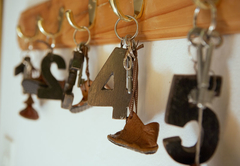 There are five double rooms which are all en-suite and air-conditioned / heated. 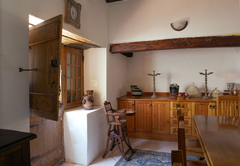 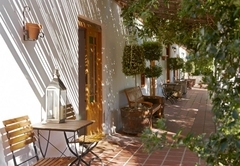 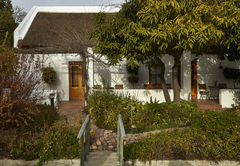 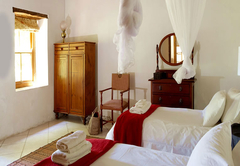 The rooms are beautifully furnished with Cape Dutch antiques. 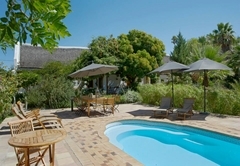 Four rooms look out over the pool deck, towards the paddocks with the mountains as a backdrop while the fifth has a secluded entrance and garden, with access to the pool area. 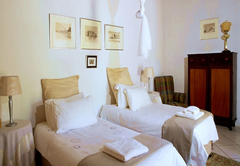 All rooms have mini fridges, tea / coffee facilities and hairdryers. 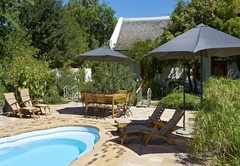 Swimming towels are provided. 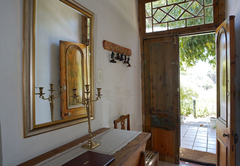 Lovely old oil lamps provide a romantic touch. 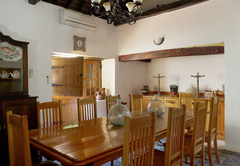 The dining room has a lovely old yellow-wood table where breakfast is served. 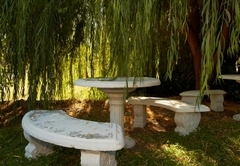 Breakfast can also be enjoyed outside with the fishpond burbling away. 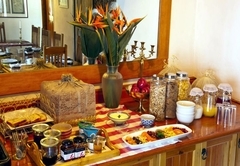 Breakfast is substantial – fruit juices, fruit platter, a selection of yoghurts, cereals, a cheese board, bread selection, homemade jams, coffee and a large variety of tea. 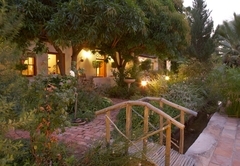 Hiking, mountain biking, quad biking, 4x4 trials, horse riding, birdwatching, rock climbing, San paintings and trails and much more. 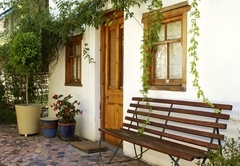 The Tourist Office is diagonally across the street, staffed by friendly, helpful ladies. 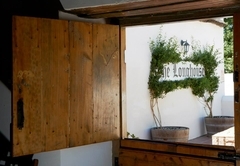 Response timeThe Longhouse Guesthouse typically responds to requests in 5-10 minutes.